RICHMOUNT Primary School is this year celebrating the 150th anniversary of the building and opening of the Old Richmount School. Records show that the Old School was first opened in 1849. The schoolhouse and residence was built on a four acre site approximately two smiles from Portadown on what was then the main Portadown – Moy Road. 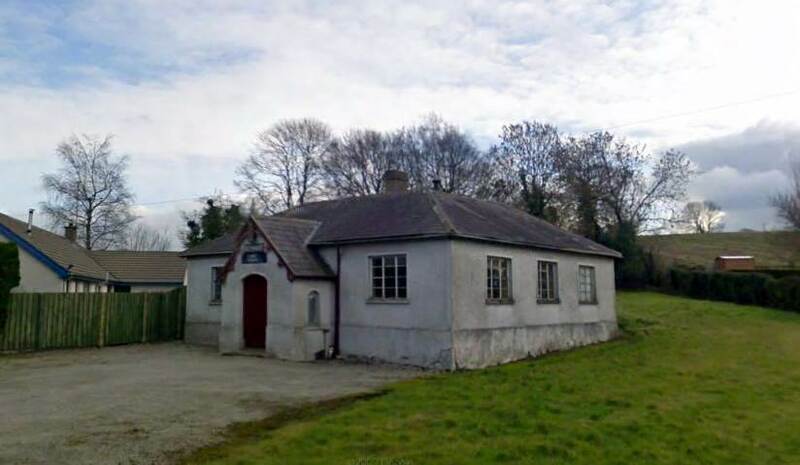 Following the construction of a new part of the road the old schoolhouse is located on the Richmount Road. Records show that there has been a school established in this area since 1820. In September 1831 the Commissioners of National Education were established to administer a fund of £30,000 per annum placed at the disposal of the Lord Lieutenant for the education of the poor in Ireland. They were empowered to make grants to local schools on condition that part of the required sum was raised locally. They supervised the work of the schools, supplied textbooks and trained teachers. Following application and funds supplied by Lord Lurgan the grant was obtained and the new school was opened in 1849. Earliest available records show that Robert Anderson was principal in 1862. Mr. Charles Scott was appointed principal in 1873 and was succeeded in 1889 by his son Mr Harry Scott. From 1888-1889 Mr. Charles McShane had acted as principal until Mr Harry Scott had completed his training. In 1898 Mr. McShane succeeded to the principalship. He died in 1905 and was buried on the Sunday that Rev. F J Halahan took up duty as rector of Drumcree Parish Church. Mrs. M E McShane then took up the position and was followed by Mrs. E M Preston in 1931. In 1945 Mr. W J Harrison was appointed. Mrs. A W Sullivan succeeded Mr. Harrison in 1974 and was principal until her retirement in 1989. The present principal Mr. A S Gray was then appointed. In 1963 a new school was built. It is situated on an elevated site near Scotch Street on the main Moy Road. The new school provided excellent facilities. Pupils moving from the old Victorian school noticed a tremendous change. The school has developed and grown over the years. At present it caters for 110 pupils and this figure is expected to increase quite considerably due to the planned housing development in the Richmount area. There are five classes and the teaching staff consists of five full-time teachers and two part-time teachers. The school provides the children with a broad and balanced range of experiences in all areas of study. Through careful planning it is ensured that the needs of all the children are met and that each child is given the opportunity to realise its full potential. Carrying on with the rural tradition a warm friendly atmosphere exists in the school. Records dating back to the 1820s state the close connection between Richmount Primary School and the Parish of Drumcree. Many of the pupils, past and present, are parishioners of Drumcree Church. The church rector, the Rev. J A Pickering, holds an important position in the life of the school. He visits the children on a weekly basis and his enthusiastic lessons are always well received. The Board of Governors meet regularly to ensure that the school is running smoothly and to discuss and consider educational innovations. As chairman of the Board of Governors Mr. Pickering plays a prominent and supportive role. Education has changed greatly over the years. What is now required is a balance between teaching the basics of Education ie. the 3R’s and preparing the children to live and work in the modern world with its increasing technology. Each classroom is provided with its own computer and appropriate computer programmes are used to enhance the children’s learning. Warm, bright classrooms with modern facilities have replaced cold damp rooms. Today’s children have access to a wide range of interesting and imaginative reading and writing materials – a far cry from the days of chalk and slate! The old Victorian playground would have echoed to the sound of the children playing such games as hopscotch, skipping and ‘tig’. While today’s children still enjoy these games they now benefit from a rich and varied physical education programme. Primary 4-7 pupils have weekly visits to the local swimming pool. A programme of extra curricular activities is provided which helps to introduce the pupils to team and competitive games. The girls participate in hockey and netball while the boys play football and mini-rugby. Primary 6 and Primary 7 pupils are looking forward to residential visit to Killowen Education Centre where they will be taking part in a wide range outdoor activities. While changes in education continue, the continuity is maintained within this close-knit rural community school. Many of today’s children are members of families who have been resident in the Richmount area for generations. Old records show names of parents, grandparents, and great-grandparents with many dating back to the old Victorian School. Richmount is now an extremely busy and active school which is very much at the heart of the community. Staff and pupils would like to invite everyone to join with them to celebrate the 150th anniversary of the Old School. An anniversary sale will be held in the present school on Friday Nov. 26th at 7pm. and a display of old photographs and memorabilia will be on view. A thanksgiving carol service in which the pupils will be participating will be held in Drumcree on 20th December.